It’s been a great couple of weeks at the Chamber office. Nearly every day we are getting new donations and sponsorships! Thank you to everyone who has generously donated and sponsored teams and holes. This tournament is shaping up to be one of our best yet. Plus, FireLake Golf Course is beyond beautiful! 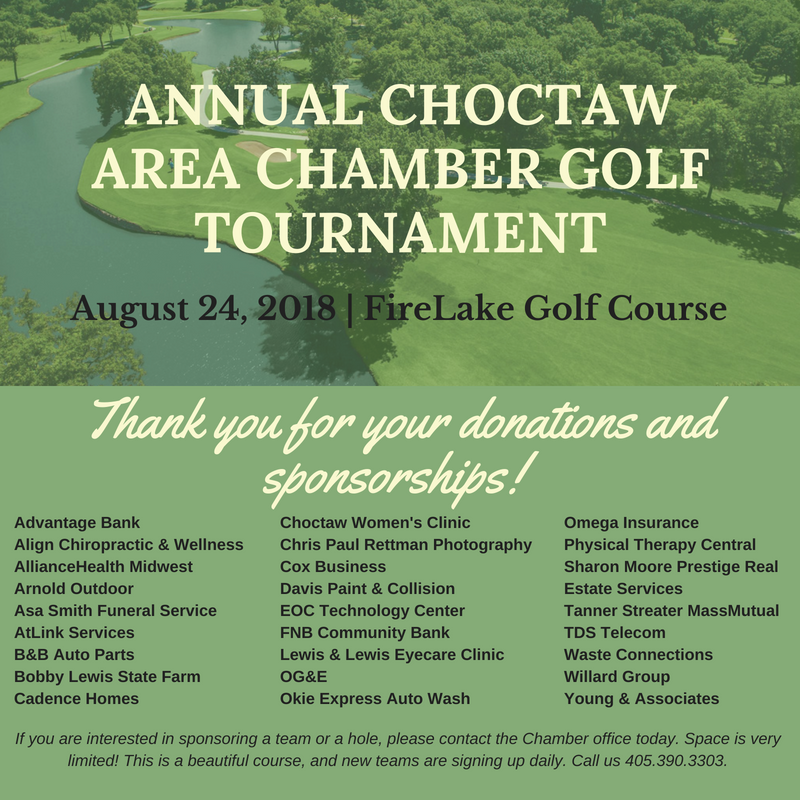 If you don’t see your name on this list and you want to, then please contact the Chamber office today by phone at 405.390.3303 or by email at office@choctawchamber.com.